It seems like no matter what type of diet craze is on, people just can’t get rid of the extra pounds. Maybe the one reason many of the dieters can not lose weight because they are on a diet! Yes folks, just diet alone won’t make you thin and strong. But the combination of a healthy balanced diet, regular fitness workouts and stress relief can have a very positive impact on your current weight loss challenges. And because Yoga is great for relaxing your mind and muscles, it can be a great help when trying to lose weight. What many people do not know is that there are Yoga types specifically designed to promote weight loss. And I have found a great article at Yahoo Sports, written by Rebecca Bardelli explaining the best Yoga types for weight loss. I hope you will find the one that suits all your needs. Ashtanga yoga originated in Mysore, India, and was brought to the U.S. in 1975. Ashtanga is the perfect type of yoga for those looking to lose weight because it provides a cardio effect. It flows nonstop from one move to the next. Men looking for yoga classes should try Ashtanga. It was originally created with teenage schoolboys in mind. An Ashtanga is an advanced form of yoga that is known for demanding movements. To prevent injury, beginners should take several Ashtanga classes before trying the moves at home. Celebrities who partake in Ashtanga yoga include Woody Harrelson and Willem Dafoe. Randall Cunningham and Kareem Abdul-Jabbar are former athletes who practice Ashtanga yoga. Power yoga and Ashtanga yoga are sometimes considered one in the same, yet there are differences. Power yoga is an adaptation of Ashtanga, which is probably why the two terms are sometimes used interchangeably. Power yoga began in the late ’80s to catch the attention of Westerners who were obsessed with aerobics. 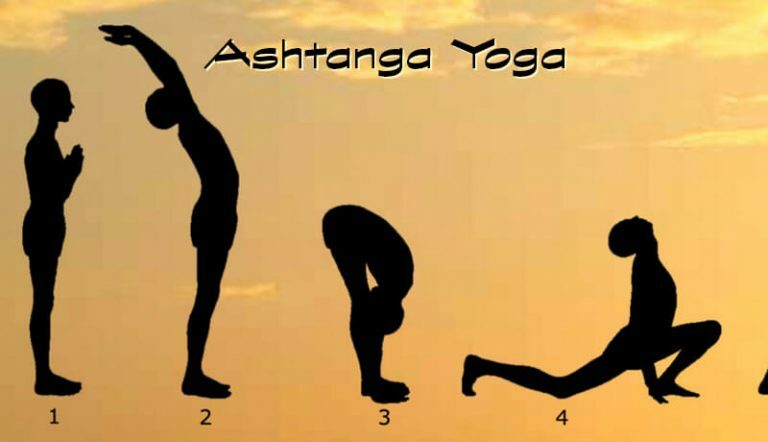 The sequence of poses change in power yoga and set it apart from Ashtanga. The sequence of poses will change depending on the class and instructor. Power yoga boosts metabolism by using isometric exercises that involve every muscle of the body. Power yoga is responsible for helping Drew Barrymore lose weight. The actress lost 20 pounds. Bikram yoga is also known as hot yoga, and it was invented by Bikram Choudhury. Bikram yoga combines 26 yoga moves with a room 40 percent humidified and heated to 105 degrees. Every part of the body is worked during hot yoga, including organs, muscles and ligaments. The body becomes more flexible when it is warm, which is why Bikram takes place in hot rooms. Bikram yoga flushes out impurities as you sweat. If you enjoy steam rooms and yoga, Bikram yoga is for you. Bikram allows you to burn between 350 to 600 calories per class. Many celebrities enjoy Bikram yoga including Madonna, Jennifer Aniston and Goldie Hawn. And recently I have found a very interesting webpage called Yoga Weight Loss System. You should read the stories on there because they are real. No actors or celebrities, but regular Moms that used Yoga to lose weight naturally. I know how people feel about their weight and many can have big psychological problems. But Yoga helps to get their mind and body back on the right track. If you have someone who really needs help, make them read this story.